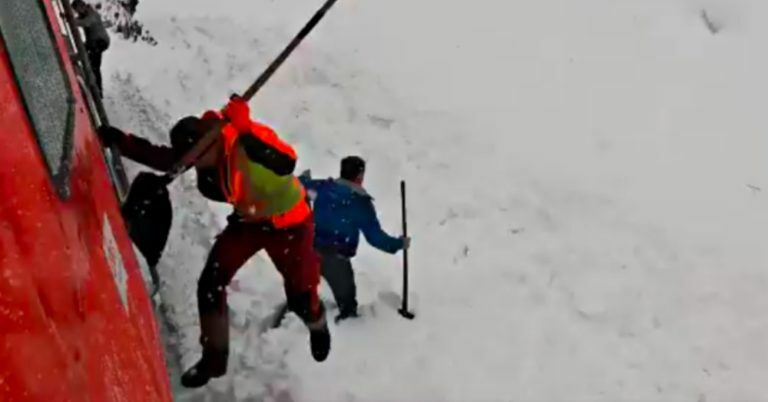 2 Railway Workers Spot Something Buried In Snow, Leap From Train To Save Its Life. 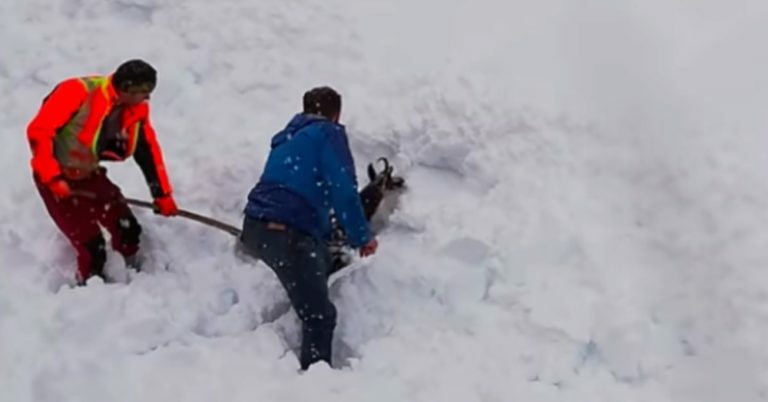 Imagine how terrifying it would be to get completely buried in snow, alone with nobody around to help. One poor creature recently found itself in just such a set of frightening circumstances. In early January, employees of the Austrian Federal Railways were busy clearing train tracks in Gesaeuse national park in central Austria. There, they noticed an animal standing to the side… where it quickly disappeared underneath a deluge of snow. According to Austrian Railway OEBB, the goat had refused to move away from the side of the tracks as the train approached, even ignoring its loud honking. They weren’t able to stop in time to avoid covering the animal in snow. They’re just glad they saw it at all. But thanks to the men’s persistent and careful efforts, the chamois began emerging from the snowdrift bit by bit. Finally, in what must have been a huge relief, the exhausted goat pulled itself up and ran away into a nearby forest. 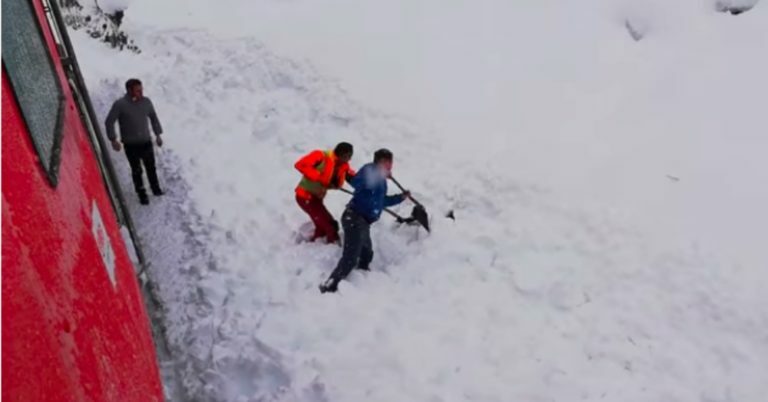 Austrian Railway OEBB uploaded the footage of the rescue to Twitter, where it got thousands of views. Many praised the workers for doing everything they could to save a life. 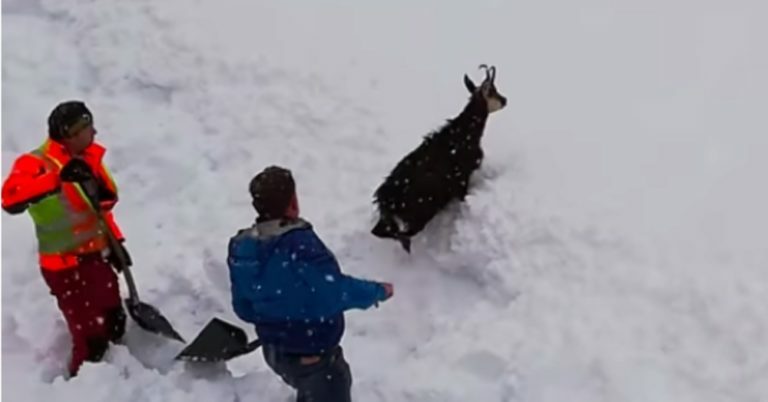 Watch as the men work to free the goat from its chilly prison below, and don’t forget to share to commend them for their efforts.